Recently I have been spending a great deal of time CAD modeling in solidworks the individual pump units for the Mixer Elixer. I do this for two reasons. It helps me reason through the mechanical design of the pump unit. 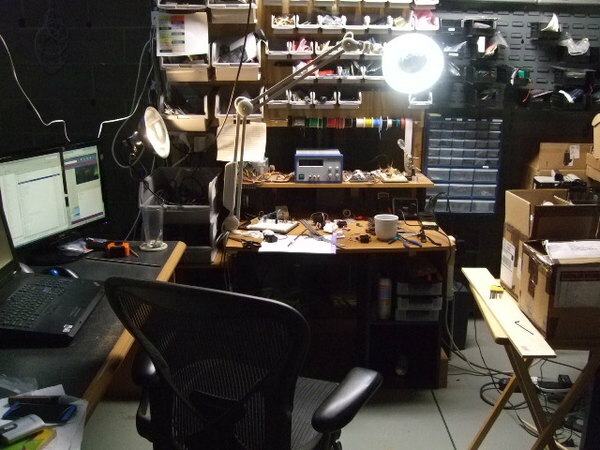 It also allows me to design the custom parts that I need for each unit. I am then able to 3d print the custom parts for each unit. Below is my current (incomplete) design for a pump unit. Each pump unit has a single servo which drives two threaded rods connected to each other with a gear. There is also a smooth glide rod next to each threaded rod. (I have not yet learn how to model the threading) This was originally going to be hooked up to a scissor arm to actuate a syringe which would pump the liquids for a drink. 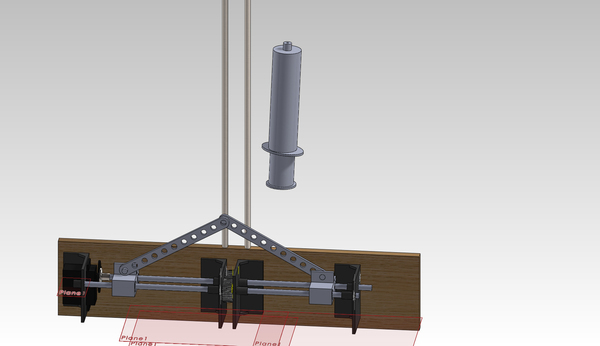 I started to worry about the flexing in the scissor arm and then decided to simplify it a bit to just two beams which would transfer the rotary motion into linear motion. There are several easier ways to pump liquids for a drink machine, but I figured this design would have a sort of mad scientist feel for the laboratory. 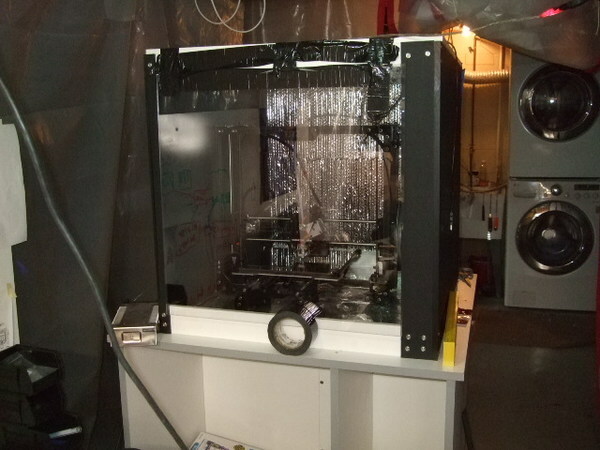 Below is the 3d printer cabinet I built which is currently printing parts for the Mixer Elixer. I haven’t yet had time to properly attach the door so I duck taped it on so that I can get my Halloween projects moving along. 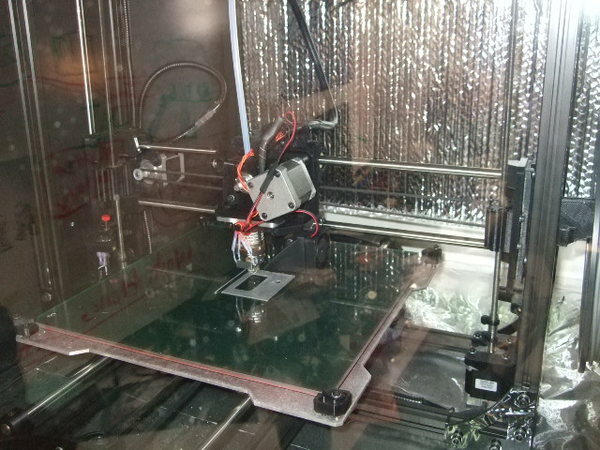 I will have some future blog entries on the 3d printer cabinet design. The reason for the chamber around the 3d printer is to improve the print quality on my prints. Supposedly this is supposed to help with warping. Last picture for today... The lab is in full swing for Halloween!